YOU CAN do one of two things: listen to what the critics have to say about Daysend’s debut album ‘Severance’, or do what most sensible people do – take the CD out of its jewel case, put it in your stereo, crank it up to a volume that rattles your neighbour’s windows and make up your own mind. 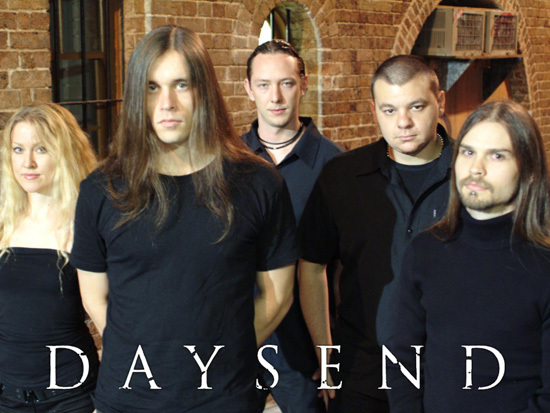 Either way you’ll come to the same conclusion: Daysend are a band capable of competing with the best the metal world has to offer. 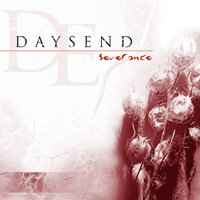 Just ask British metal bible ‘Kerrang!’: “Daysend know exactly when to be brutal and when to switch on the silken melodies and heart rending dynamics,” it gushed, while bestowing an impressive 4Ks on the album. Of course, none of these reviews would come as a surprise to anyone who’s actually heard ‘Severance’. Proof of just how vital and exciting modern heavy metal can be, it blends the harshness of thrash metal with the swooning melodies of the Swedish sound while adding a unique twist; a product of the fact that Daysend live thousands of miles away from the glut of bands in Europe and America trading on the same sound. The tyranny of distance? Sometimes it’s a blessing in disguise. The Daysend story begins in Sydney, Australia, midway through 2002, with the split of Oz metal leading lights Psi.Kore. Unhappy and disillusioned with the direction of the band, bassist Meredith Webster and guitarist Aaron Bilbija decided to sacrifice the years of hard work to start again; to do things the way they wanted to do them; to make a noise they believed in; to be in a band they wanted to be in. They approached the people they wanted to work with – friends in the scene, past band mates – and those people said, Yes. And so Aaron Bilbija and Meredith Webster were joined by guitarist Michael Kordek and drummer Wayne Morris, and the nucleus of Daysend was in place. A singer came, but he decided to leave just days before the start of Daysend’s first Australian tour. Solution? Do it anyway, and play each set as an instrumental combo, despite the fact that these were their first ever gigs. Balls of steel? Andthen some. Triple J, Australia’s leading national youth radio station, added the track ‘Countdown’ to their playlist, an unheard of accolade for a local metal band; listeners of the country’s premier metal show, ‘Full Metal Racket’, voted ‘Severance’ the best Australian album of 2003; street press around the country proclaimed ‘Severance’ the album of the week; and ‘Severance’ sat at the top of leading metal retailer Utopia Records’ Top Sellers’ list for weeks. In a country notorious for supporting overseas bands more than it does its own, Daysend have been embraced by the local metal scene in a way they couldn’t have imagined.